The government’s commitment to resolving this issue was announced in the Queen’s speech of 27 May 2015, shortly after the general election. David Cameron made a manifesto commitment to restore voting rights to citizens living outside the UK for more than 15 years. 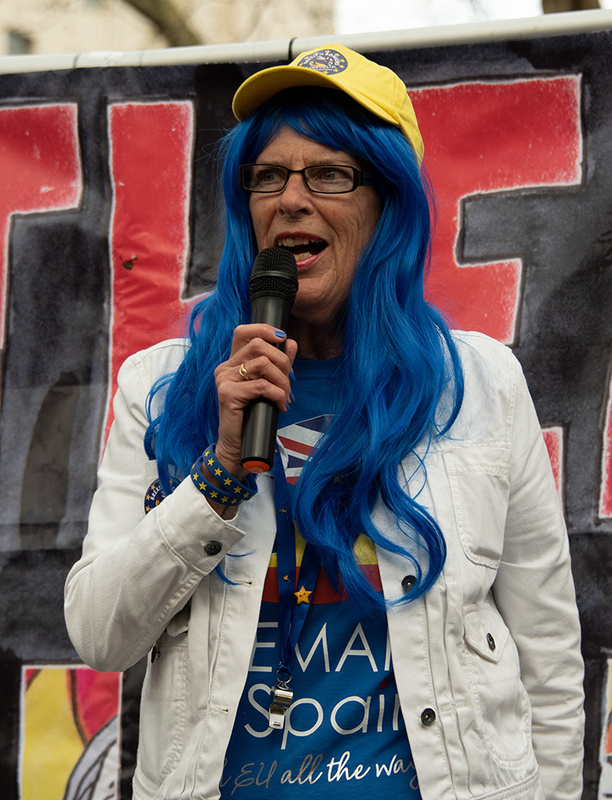 A further commitment was made in the 2017 Conservative manifesto, with a promise to restore our voting rights before the next (scheduled) election in 2022. 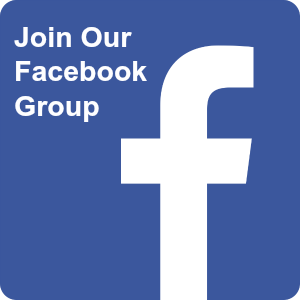 We now have a Private Members Bill – The Overseas Electors Bill 2017-2019 – sponsored by Glyn Davies MP. 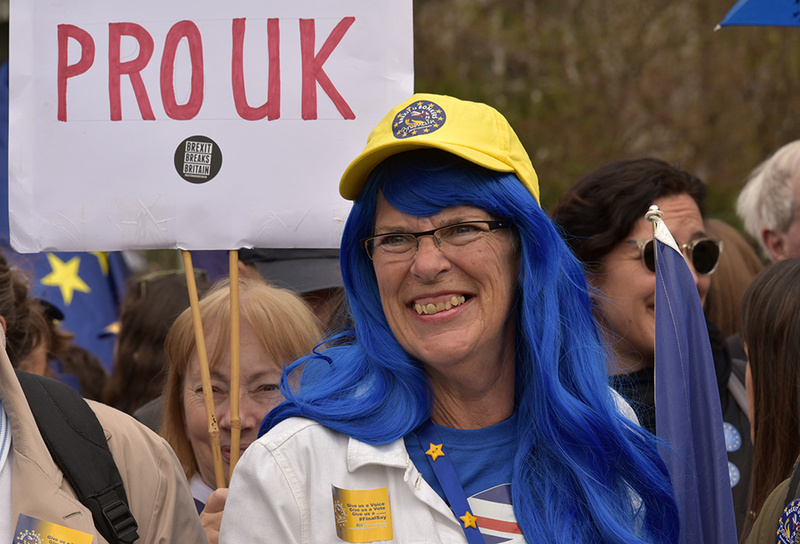 Having been denied a vote in the last referendum, our thoughts are now turning to the next one – a People’s Vote – which seems increasingly on the cards. Even with sufficient political will and a strong wind, it seems unlikely the bill will pass in time to give us a vote. All the more reason to welcome this new campaign and to give it, and its’ sponsors, our full support. 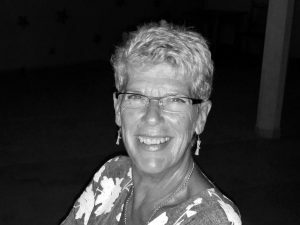 Bremain in Spain’s Sue Wilson expects more shocks, surprises, twists, turns, and time-wasting. But in the meantime, be thankful that Brexit didn’t happen on March 29th. For the last two years, ever since the triggering of Article 50, the clock has been ticking down to Brexit Day. 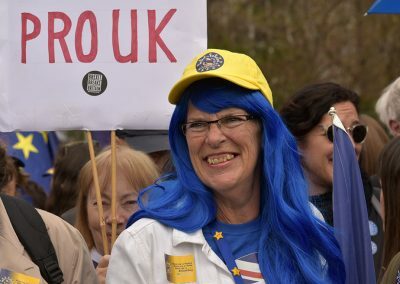 Over 100 times, Theresa May informed parliament and the British people that we would be leaving the European Union on March 29th, 2019, but she finally accepted that this wasn’t going to be the case. 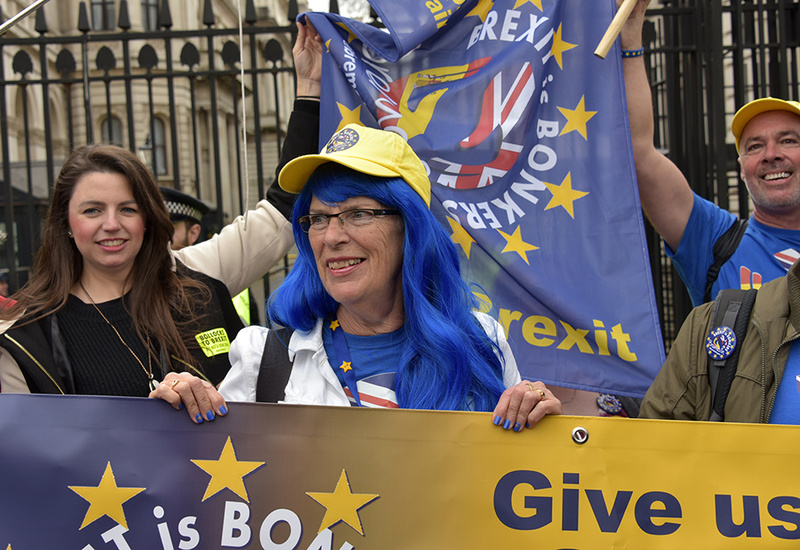 Brexit Day or not, last Friday was a momentous landmark in the Brexit story. 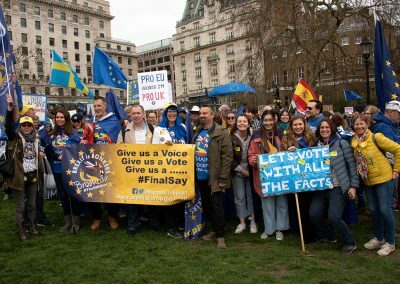 The Leave campaign’s march arrived in London, after its long and poorly-attended trek from Sunderland – a trek on which its leader, Nigel Farage, showed only minimal participation. More importantly, Theresa May brought back the Withdrawal Agreement to the House of Commons for one final attempt to gain parliamentary support for her twice-defeated deal. 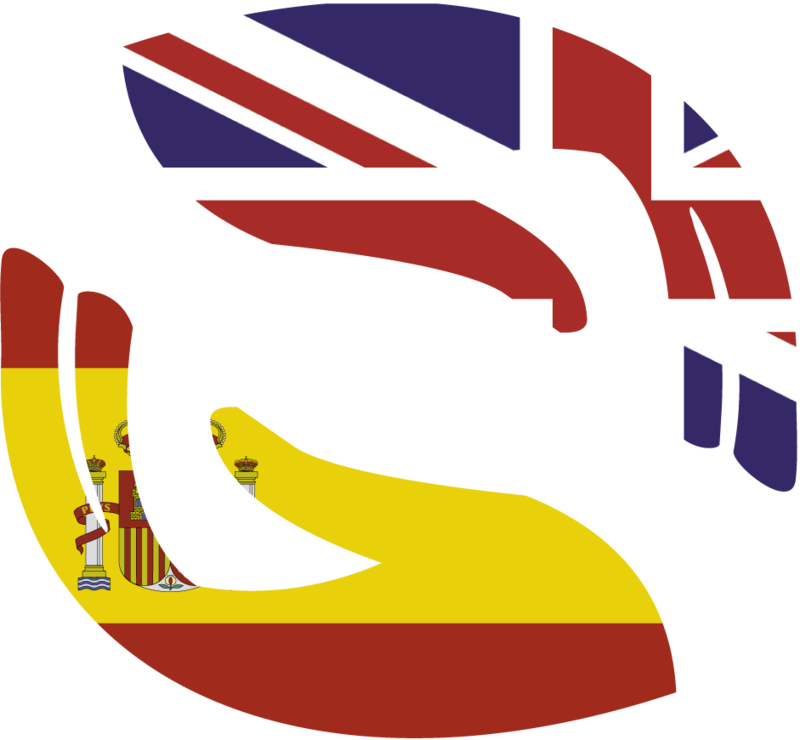 Friday 29th was a day of mixed emotions for British citizens in Spain. 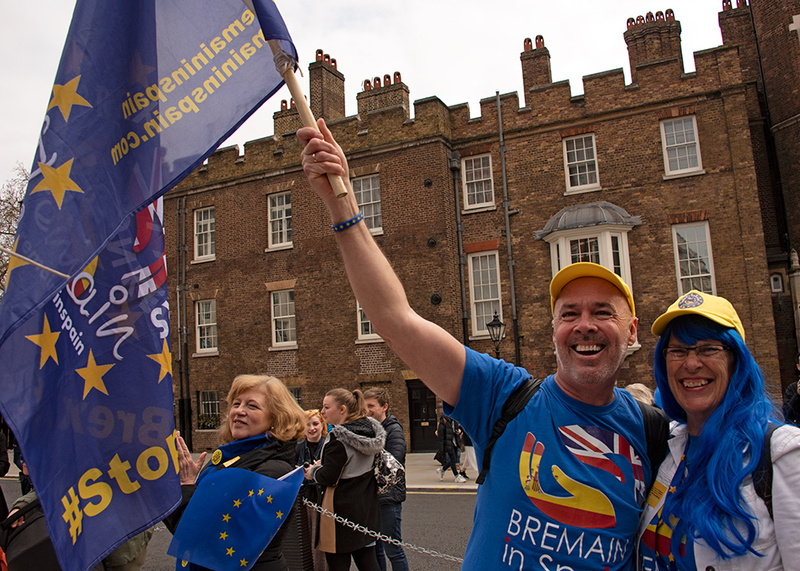 Despite the media asserting that Theresa May was destined to lose the vote, many people were naturally concerned that the deal would somehow pass, resulting in us leaving the EU on 22 May with our rights diminished. 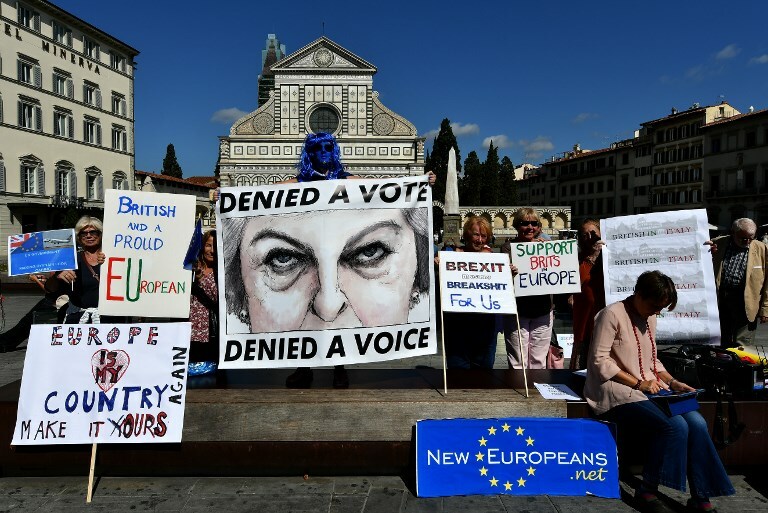 Despite the demands of citizens’ rights groups, such as British in Europe, both sides of the negotiating table have failed to ring-fence the rights already ‘agreed’ in the Withdrawal Agreement, and their reluctance to do so continues. 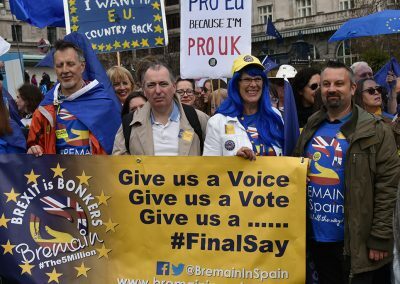 For many Bremain in Spain members, Friday 29th was a day of celebration. Or, as we like to call it, Un-Brexit Day! A day to celebrate our progress in the battle for another referendum – this time round, a fair, honest and legal referendum. 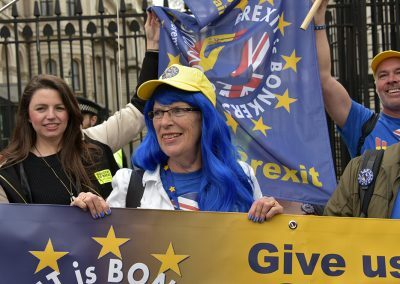 A year ago, campaigners for a second vote – and those discussing Brexit being postponed, or even cancelled – were considered dreamers. Our goals were deemed as being equally “unrealistic” as the fantastical visions of Brexit espoused by the Leave campaign. 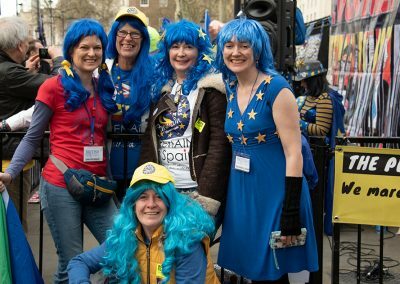 Yet here we are in April 2019, still members of the European Union, still European citizens, and with a real chance of achieving our goals. 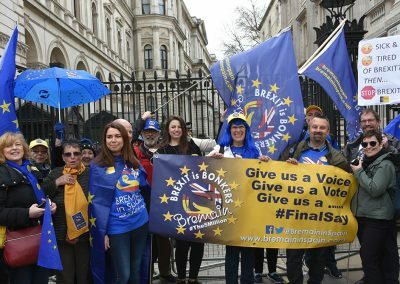 On Wednesday March 27th, parliament took control of the Brexit process for a day, the intention being to debate and vote on alternative options to May’s unpopular deal. Eight options were considered. 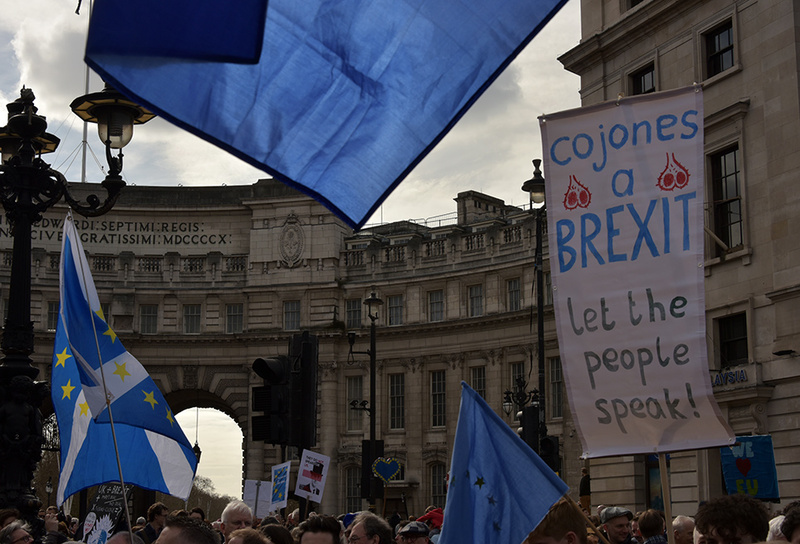 While none achieved a majority, two clear favourites emerged: a customs union add-on, defeated by a mere eight votes, and a confirmatory referendum, which received the most votes. The option of leaving with no deal was soundly defeated, with 400 MPs voting against it. To date, this is the most significant indication that parliament won’t tolerate a no-deal scenario, as May readily acknowledged. Parliament will repeat the process again this week, as it’s trying to reach consensus. Meanwhile, May seems intent on bringing back her deal for a fourth attempt: clearly, she still believes this is the only possible Brexit route. It’s debatable whether the Speaker, John Bercow, will allow a further attempt. The biggest concern for British citizens living and working in EU27 countries is the fear of a no-deal scenario on April 12th. As this is still the legal default option, fear of it happening has increased since the EU responded to recent events in Westminster by claiming that no-deal was now “more likely”. An emergency EU summit has been scheduled for April 10th. 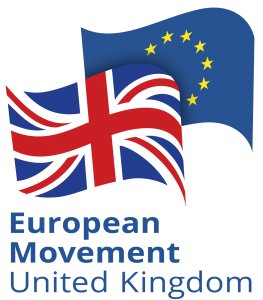 Before this date, the Prime Minister must apply for a long extension and commit to taking part in the European elections. 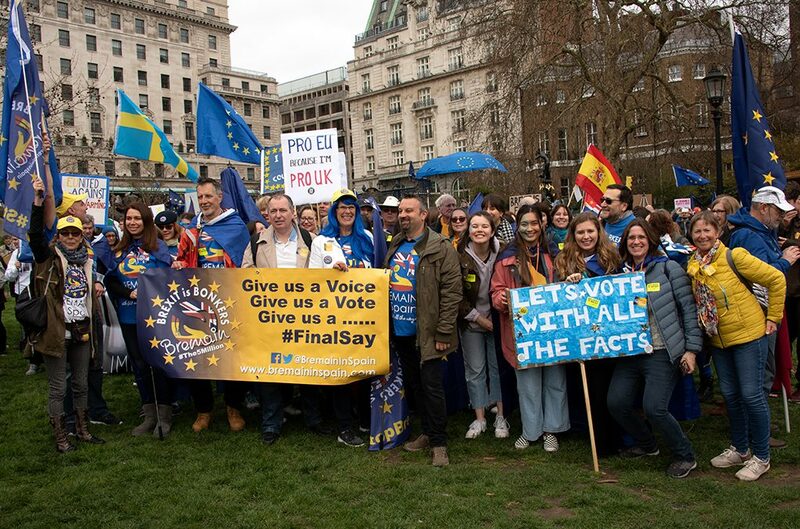 The EU will set further conditions – most likely a public vote or a general election – both of which are now being openly discussed in parliament. I still believe a no-deal scenario will never happen – as I did last week, last month and last year. UK parliament has finally flexed its muscles and it’s not finished yet. Parliament has confirmed that it won’t allow the UK to crash out of the EU under those damaging circumstances – even if it means a delay, a compromise, a new Prime Minister, or even a new government. We aren’t out of the woods yet! We can expect more shocks, surprises, twists, turns, and time-wasting. 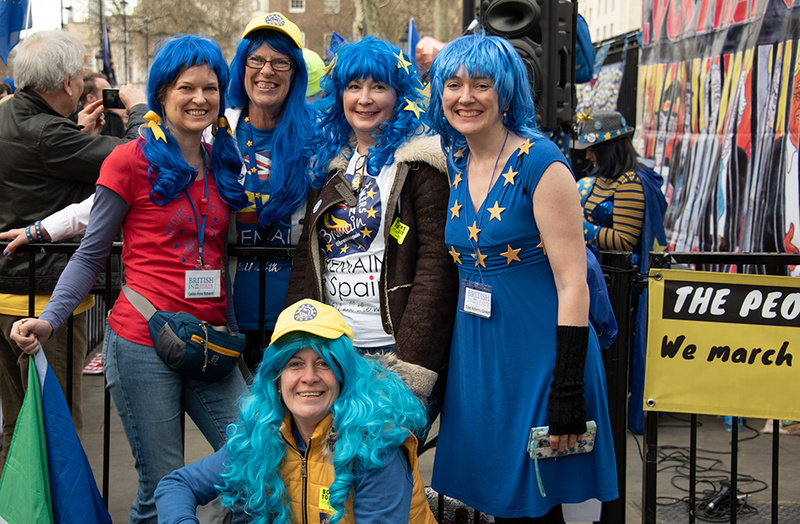 However, we must be thankful that Brexit didn’t happen on March 29th, that May’s bad deal has been defeated – not once, not twice, but three times – and that a #PeoplesVote referendum is increasingly popular and close to reaching a majority amongst law-makers. 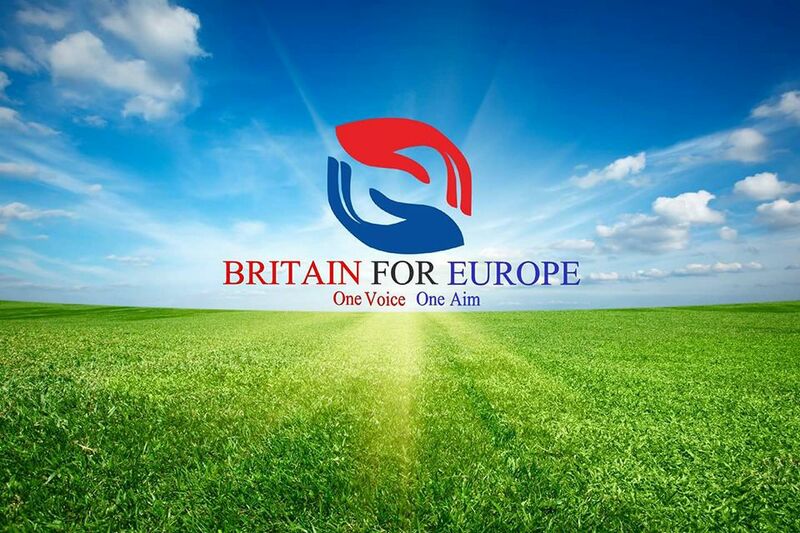 Most importantly, we are still European citizens, with all the benefits of EU membership. I’ve said it before: three’s only one way to guarantee retaining our precious rights and freedoms – and that’s to stop Brexit. Not only are we closer to that goal than ever before, but a majority in the UK demonstrably wants the same outcome. So, pop that Cava cork and let’s celebrate our success. 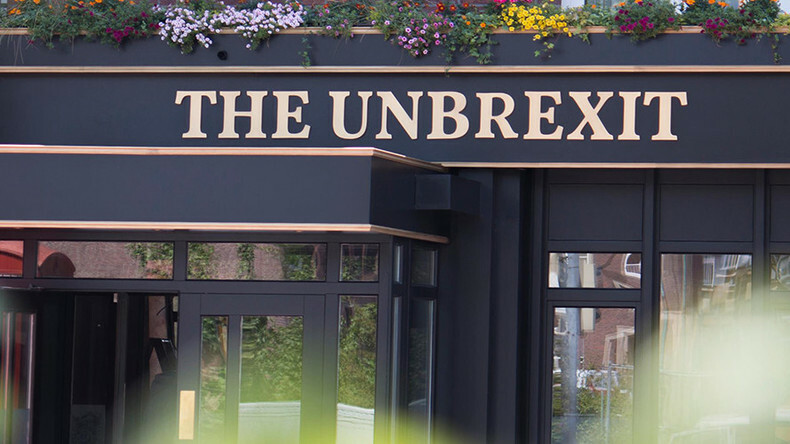 Happy Un-Brexit Day to all! I hope you’ve been paying close attention to the latest developments in Westminster over the last couple of weeks. The viewing public has been gifted nightly with extended episodes of the Brexit soap opera, full of drama and surprises, betrayal and back-stabbing. All that’s missing from the end-of-season finale is a wedding and a murder! Don’t worry if you’ve missed anything – the lead characters will return this week for a repeat performance. True to her word, the Prime Minister scheduled three days of debates and votes with the hope of making progress on Brexit. 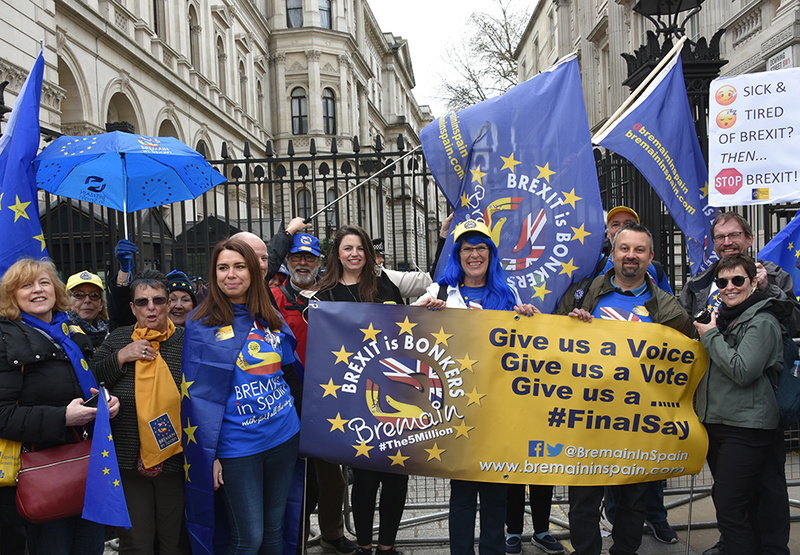 On Tuesday March 12th, May’s deal went back to the House of Commons for a second ‘meaningful vote’, only to suffer another spectacular defeat, although by a slightly less humiliating margin than first time round. On Wednesday March 13th, parliament finally had a more substantial debate on ruling out a no-deal scenario. May’s motion was rather woolly, stating that while parliament could rule it out, no-deal would remain the default option if her deal wasn’t accepted. 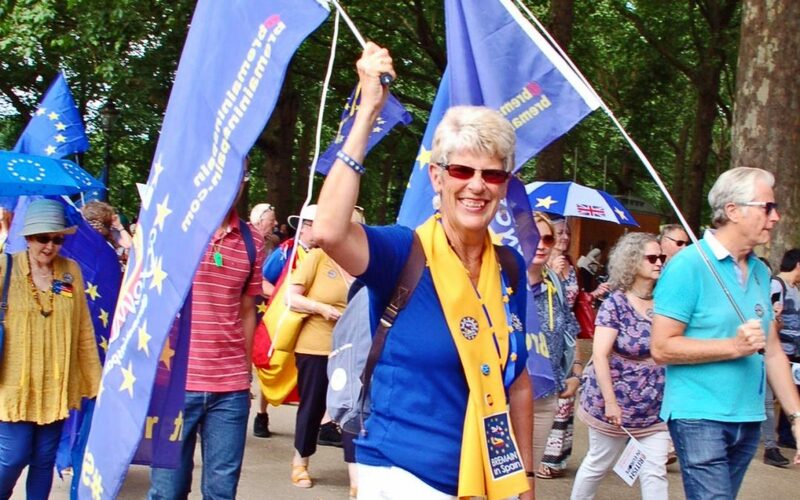 Thankfully, Labour MP Yvette Cooper ensured that parliament voted against a no-deal scenario under any circumstances, thereby providing much-needed relief for people who were losing sleep over that prospect. The final event came on Thursday March 14th, with the promised debate and vote on asking the EU to extend Article 50. This was a government motion but May allowed a free vote to discourage resignations from Tory ministers. Eight cabinet ministers took advantage of that freedom and voted against the government, including the Brexit Secretary himself! 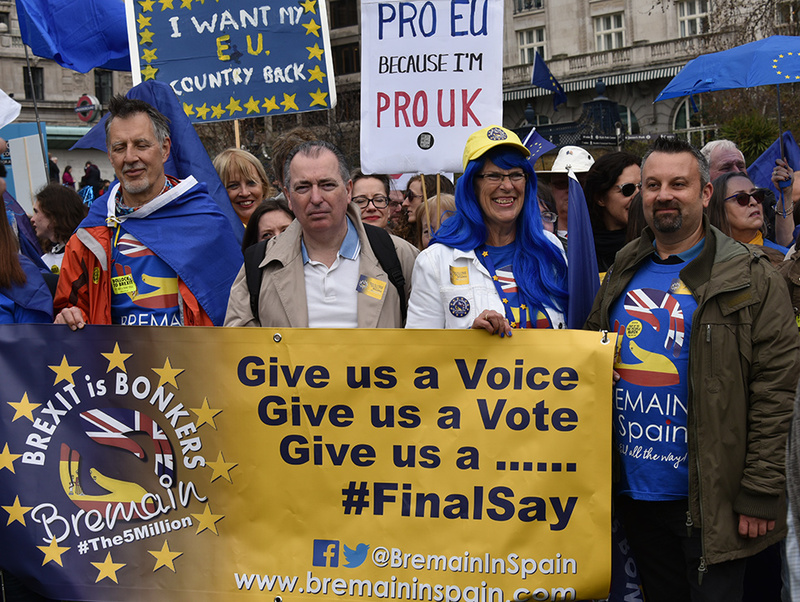 Isn’t it high time we “took back control” of the referendum process to establish if leaving the EU really is the “will of the people”, argues Sue Wilson from Bremain in Spain. 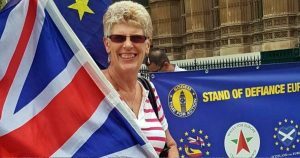 Since the fateful day of 23 June 2016, I have never been able to respect the result of the Brexit referendum. At first, my lack of acceptance was due to my reaction of shock, anger and sadness. It was then exacerbated by the emerging lies and misinformation of the Vote Leave campaign, which persuaded so many people to vote the way they did, through no fault of their own. Over time, it has become increasingly clear that the people behind the lies and misinformation were complicit in breaking the law, including some senior members of government. 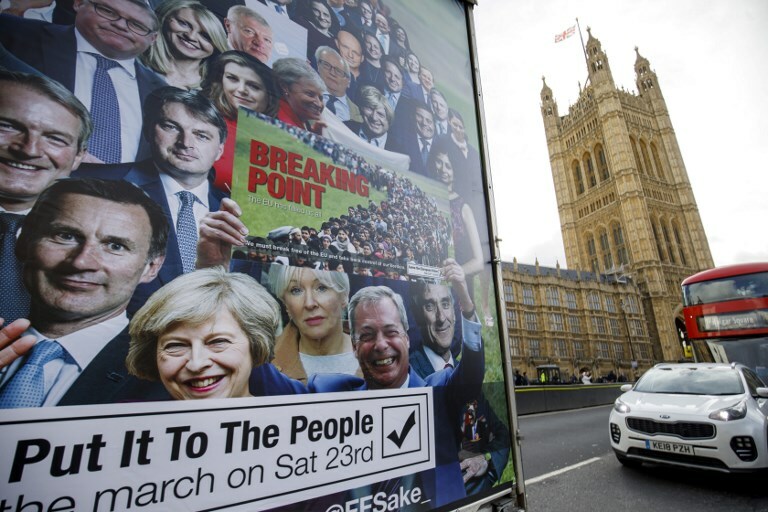 The Vote Leave Campaign were fined the maximum amount possible by the Electoral Commission, having exceeded legal spending limits, especially in the run-up to the referendum. Vote Leave was subsequently referred to the Metropolitan Police and National Crime Agency to answer possible criminal charges. Several months later, we still await the outcome – or any news whatsoever – of those investigations. Recently, I took Theresa May to court, through the UK in EU Challenge, to question the validity of the referendum result. The premise of our case, known as “Wilson vs. 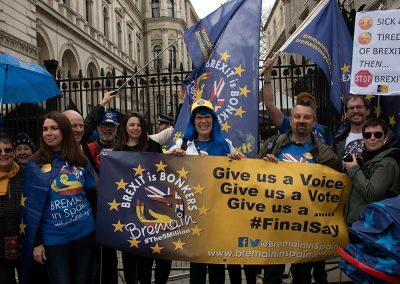 The Prime Minister”, was that the illegal activity renders the result of the referendum unsound, and that the Prime Minister made an error of judgement in activating Article 50 in the belief she was acting on the “will of the people”. Our legal team believes that Leave’s overspend directly affected the referendum result and, even if it hadn’t, the result was still invalid. 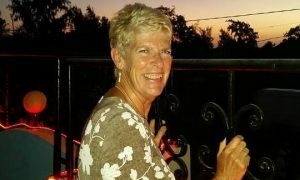 Sue Wilson Writes: Brexit month is finally here – or is it? 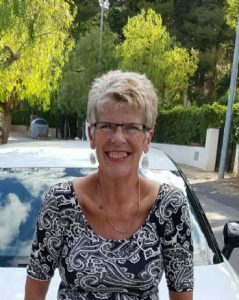 Sue Wilson, chair of Bremain in Spain, reckons that Brexit could be further away than at any time during the last 18 months. 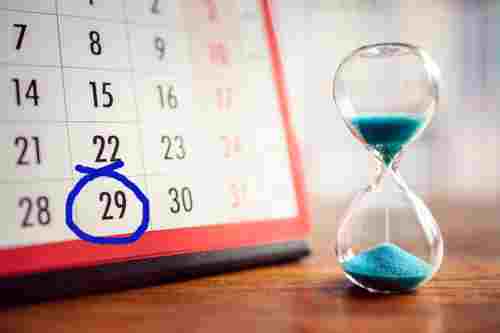 Whether you’re excited or terrified about the prospect of looming Brexit day, recent developments may have led you to question whether it will happen, as scheduled, on March 29th. Over the last few months, Prime Minister Theresa May has remained adamant that the UK is leaving on the stated date, even if that means leaving without a deal. 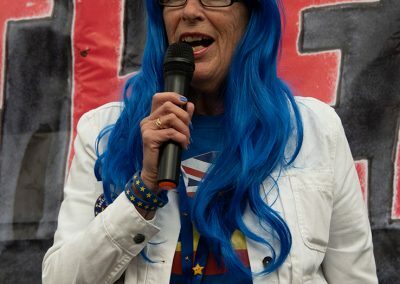 In fact, she has reminded us that she intends to remove the United Kingdom from the European Union on March 29th over 100 times, with an increasingly insistent tone. In the last few days, the tone of the rhetoric has noticeably softened. No longer are we “definitely” leaving this month – instead, there’s talk of the government ‘aiming’ to leave on March 29th, and it still being possible to do so. Inevitably, any talk of moving the goalposts with the exit date leads to discussions of a delay and extension to Article 50. May is now openly discussing the possibility of an extension, although her preference is for just two months. 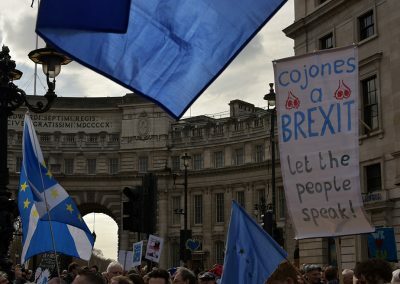 As has frequently been the case with Brexit, May has misjudged her authority – any decision on the length of an extension will not be hers to make. The EU favours a longer extension period: in fact, up to two years. According to Michel Barnier, the EU might consider a “technical extension” – however, only if May’s deal is passed by parliament, and solely for ensuring that the necessary legislation is passed. The EU proposal seems to be to remain in the EU for what would have been the transition period, while simultaneously being able to start discussions on future trading arrangements. This would allow time for a rethink and, perhaps, a softening of May’s red lines, should her deal fail to be accepted by parliament on March 12th when it returns to the House of Commons for the ‘meaningful vote’ mark II.